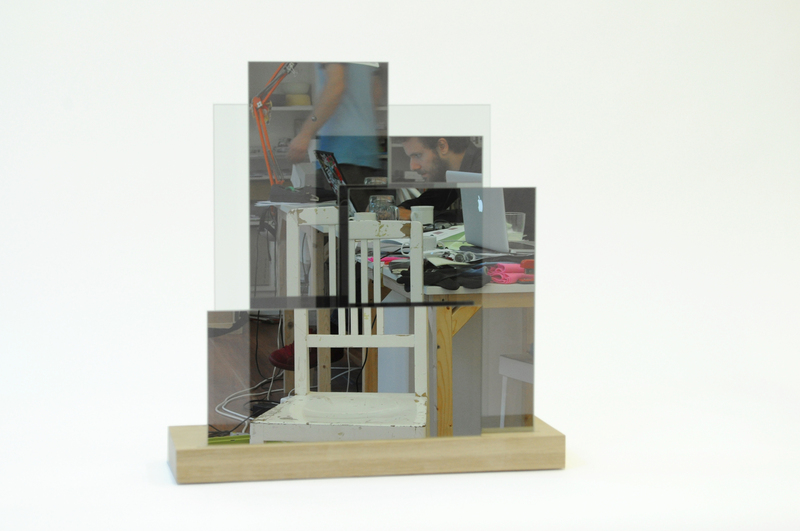 layered me is a table mirror that slightly distorts all its reflections. 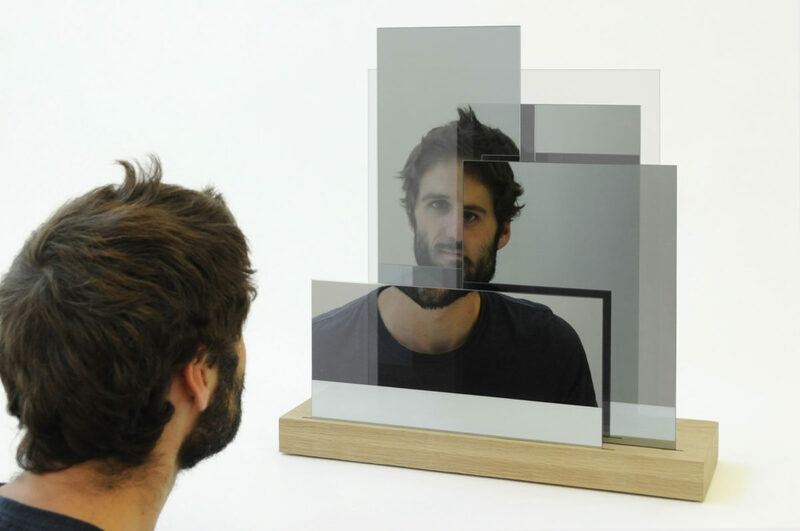 Inspired by the idea that faces and personalities are not flat but multilayered, several sheets of mirrors are introduced into one object. 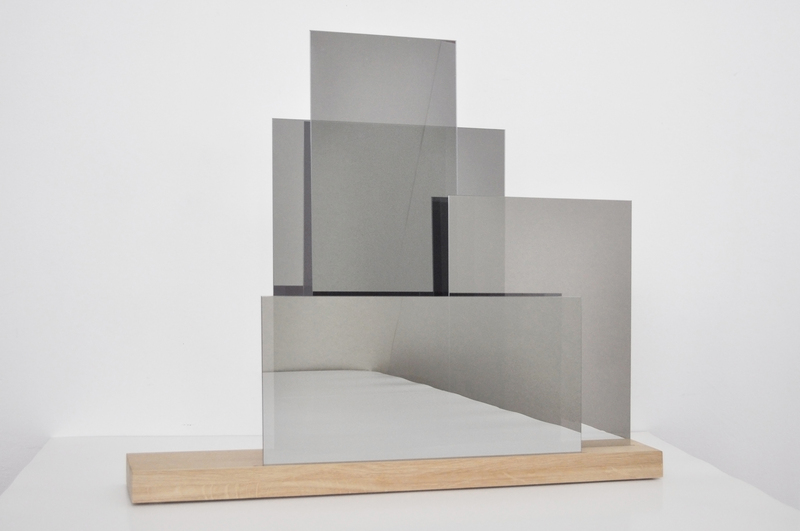 Due to the distance and scale of the single mirroring layers the reflections become disfigured and form an assemblage of various images. 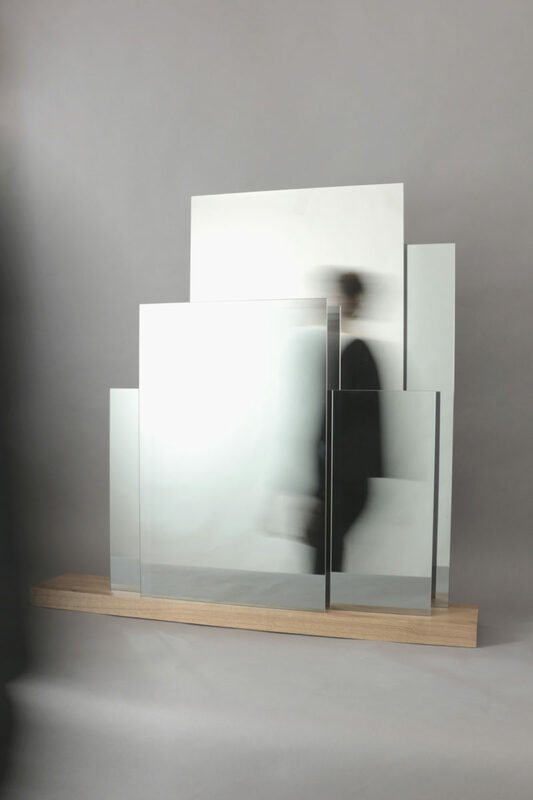 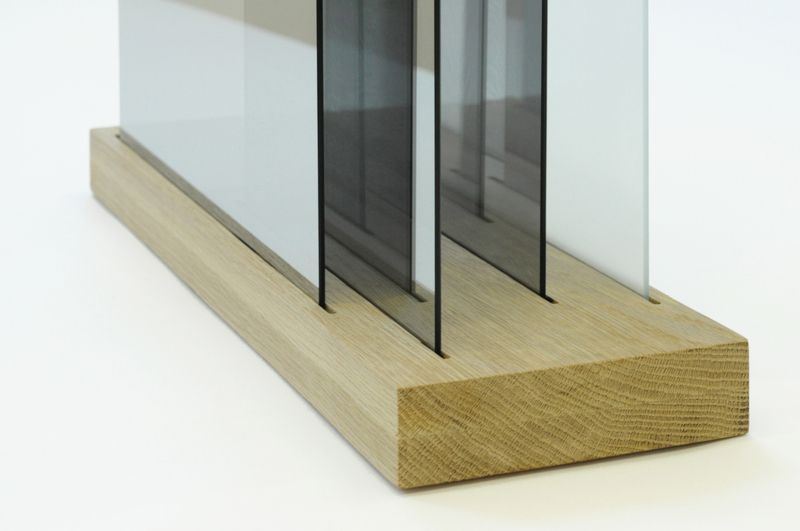 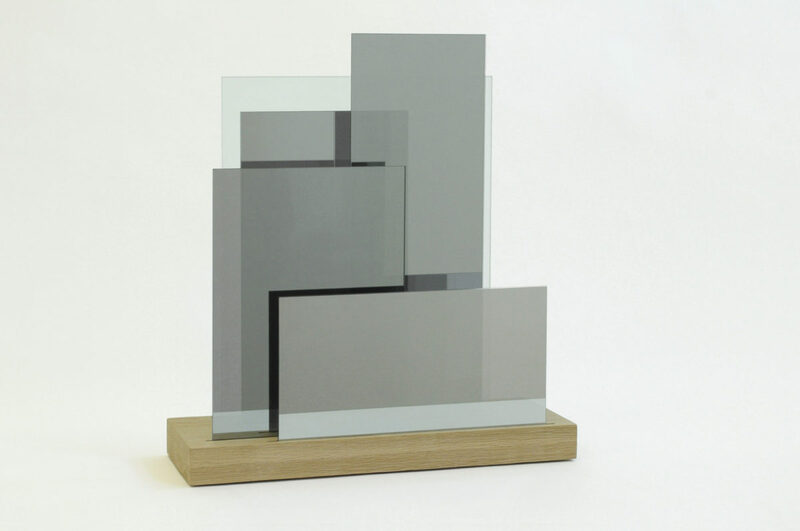 layered me consists of four two-way mirrors placed in an oak base. 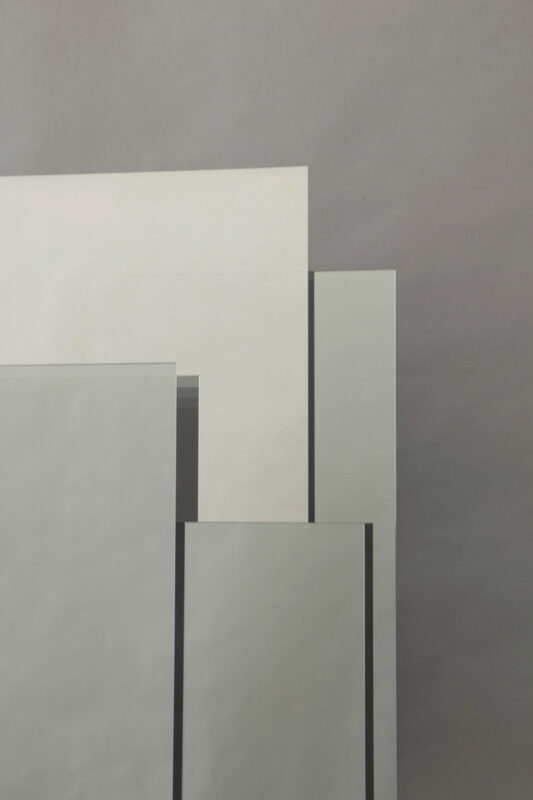 Since the two-way mirrors always let some light through, the reflections are lighter and seem to fade out, where less layers are on top of each other. 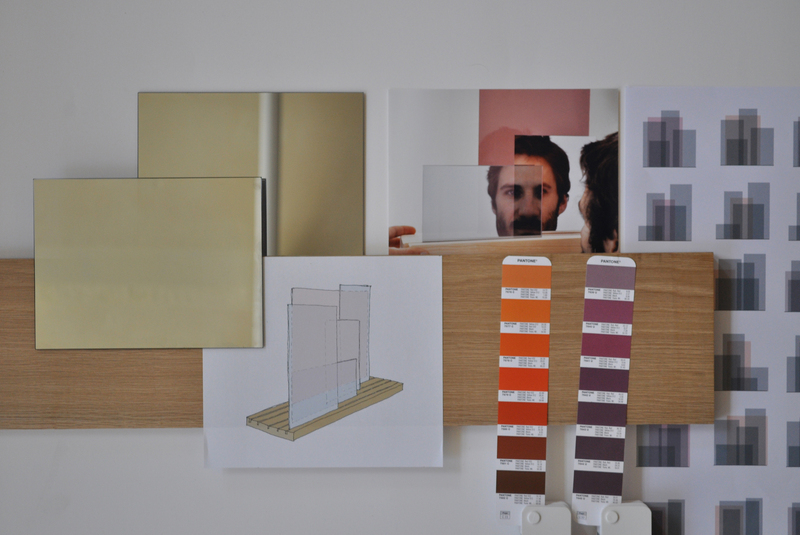 This project was initially designed for “the mirror” – exhibition organised and curated by Okolo and Klara Sumova during Designblok 2012 in October in Prague.